Paramilitary group “Los Caparrapos” operate in the north of Colombia, specifically in Bajo Cauca, a region in the north of the Antioquia province. The group formed in 2017 after mid-level paramilitary commander “Cain” bitterly split away from the country’s largest paramilitary group, the Gaitanista Self-Defense Forces of Colombia (AGC) – also known as the Urabeños, or Gulf Clan. Forming his own squad, Cain declared war on AGC leader “Otoniel” with the strategy to take over Bajo Cauca, a region that is rich in gold and coca. The war has killed hundreds and displaced thousands of innocent civilians. The Caparrapos have also been linked to the seemingly out of control killings of social leaders in the region that has long suffered state neglect. During the heydays of the paramilitaries in the 1990s and early 2000s, Bajo Cauca was controlled by AUC commander “Cuco” Vanoy. A war broke out between AGC founder “Don Mario” and the Paisas after both Berna and Cuco were extradited in 2008. Despite reinforcements by the “Rastrojos,” a drug trafficking group from southwest Colombia, the local crime structures ultimately decided to join what would later be called the AGC. The Caparrapos split from the AGC when “Otoniel,” who took over command after the arrest of Don Mario in 2009, began secret negotiations to surrender to justice in 2017. 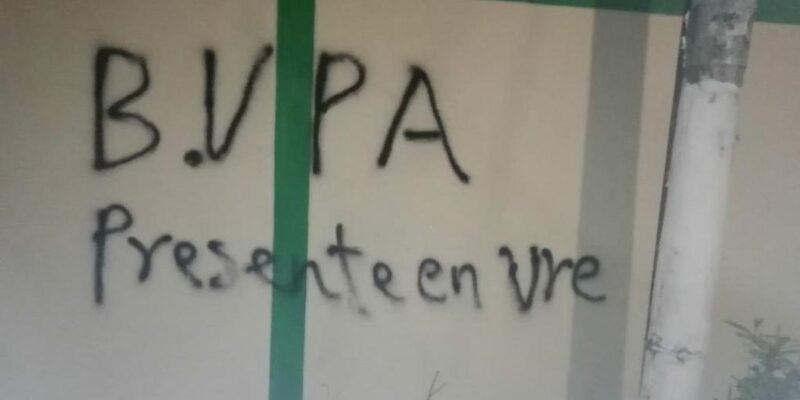 The group’s tags spell “BVPA,” short for “Brigada Virgilio Peralta Arenas,” the Caparrapos’ name while they were still part of the AGC. Brimming with coca and gold, Bajo Cauca has always been a delicate region due to its close proximity to both the Caribbean and Pacific coasts where gangs can move drugs from. Seen by the government as a hyperviolent no-go zone, state authorities in Bajo Cauca are largely absent, inept or corrupt, leaving citizens in a virtually permanent state of terror. After Colombia’s largest rebel group the FARC put down their weapons following a 2016 peace deal with the government and Otoniel began negotiating his group’s surrender, a number of illegal armed groups have been trying to fill the space they once occupied. Albeit the largest and most violent, the Caparrapos are just one of these groups. 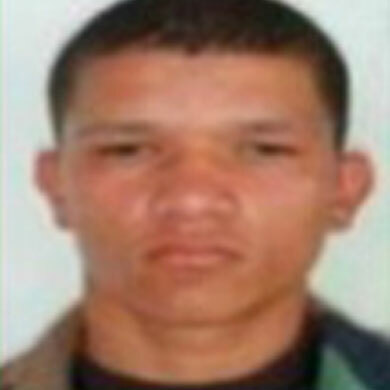 According to the the Caucasia Police Department, the Caparrapos have around 220 members operating in Bajo Cauca, of which nearly 100 are believed to be armed members based in rural areas. Colonel Daniel Mazo Cardona, the commander of Caucasia’s police force, told Colombia Reports the group is extending its reach out of Antioquia and into the south of the Caribbean department of Cordoba. This has been confirmed by independent think tank Indepaz. The small town San Jose de Ure in the Cordoba province has witnessed this expansion with a spike in murders and the group making a mark by spray painting its name on houses. The Caparrapos have allegedly formed an alliance with leftist guerrillas the ELN – the country’s largest armed group – and the dissident 36th Front of the demobilized FARC. Both groups are heavily involved in Bajo Cauca’s illegal economies. The extortion of local businesses is one of the most lucrative ways the Caparrapos make money, followed by illegal gold mining and cocaine trafficking, according to the police.